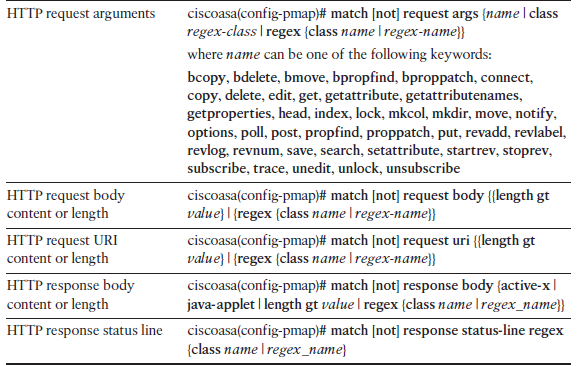 Welcome to the latest installment of the CISCO ASA Firewall Commands Cheat Sheet. In this part, we’ll explain Packet inspection and filtering on 5-7 OSI layer in addition to ICMP inspection. This part depends on the previous part to be easily understood. Note: The ICMP inspection feature is enabled when an access list, which permits incoming ping requests, is enabled. 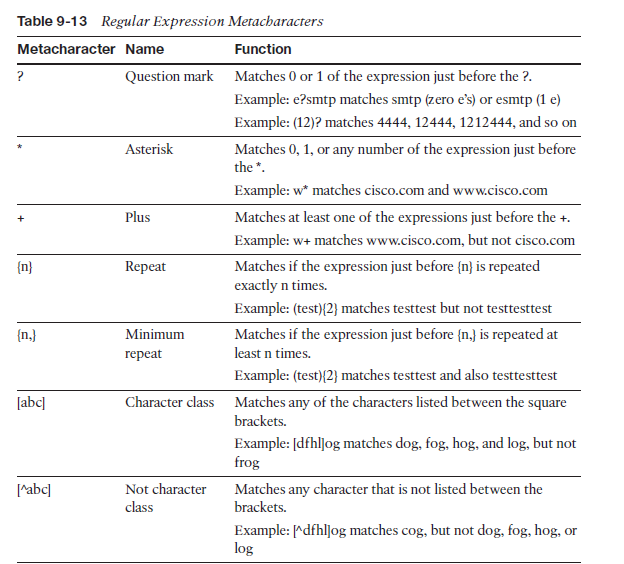 ICMP inspection used to only allow one response per ICMP request and inspect ICMP packets for invalid sequence numbers. 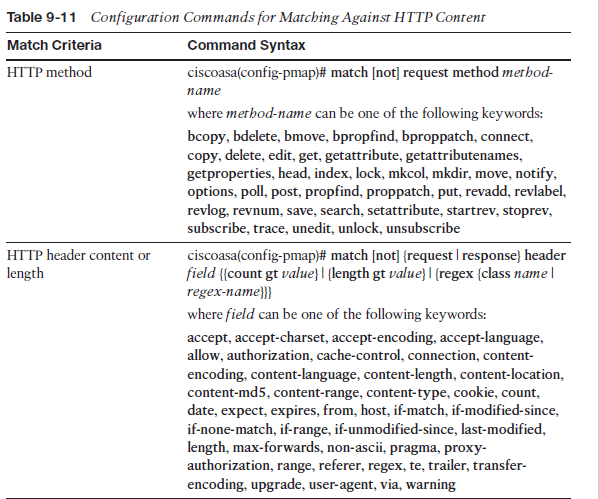 HTTP inspection policy is implemented to examine and analyze traffic destined to protected servers or clients. It’s main core is to minimize HTTP content to the minimal set of requirements and to look deeply in the application signature for known bad cues mainly using regular expressions. Inspecting FTP traffic includes masking the FTP banner, masking reply messages, prevent uploading “exe” files to the server (unless it’s stated in the security policy) and restricting request methods to GET and PUT. 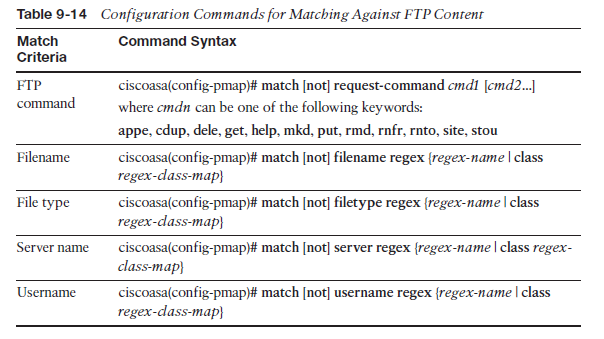 Note: The commands above create a policy map to inspect FTP. Banner information and system reply information are masked to prevent malicious users from conducting vulnerability assessment using the FTP server information. Also, the commands filters request to the server to only accept GET and PULL requests, as well as preventing EXE file names to be uploaded. 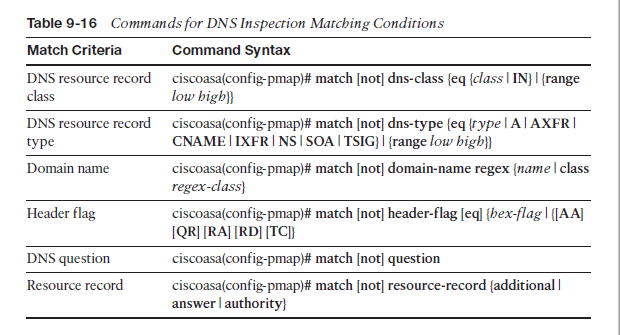 DNS inspection includes applying NAT rules to the DNS packets, randomizing DNS ID values to protect from DNS Spoofing attacks, DNS protocol verification, Guarding DNS connection by closing DNS UDP connection after successful receipt of reply packet. Note: The ASA has a default DNS inspection policy map called “Preset_DNS_Map,” which limits the size of DNS packets to 512 bytes. And finally, by understanding part 5-a and 5-b, you’ll be able to configure an ASA Firewall to protect your network infrastructure from DDOS attacks, protect to your DMZ and enforce security policies for internal clients or hosts.